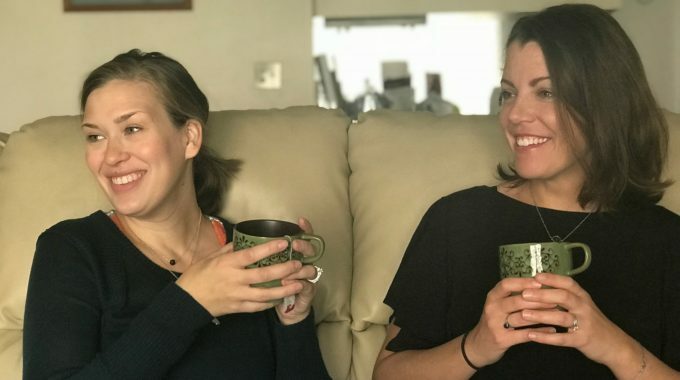 In this episode, the sisters are talking meal planning, shopping, and how to keep homeschoolers fed with their pal Samantha Barnes! 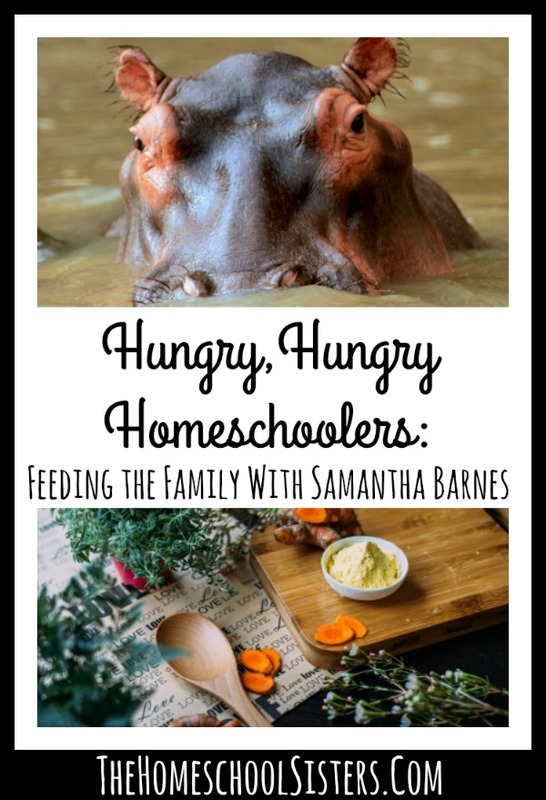 Samantha is the founder of Raddish Kids, a homeschool mom of two, and a culinary instructor who knows what it’s really like to try to get dinner on the table when there’s already a volcano at said table. 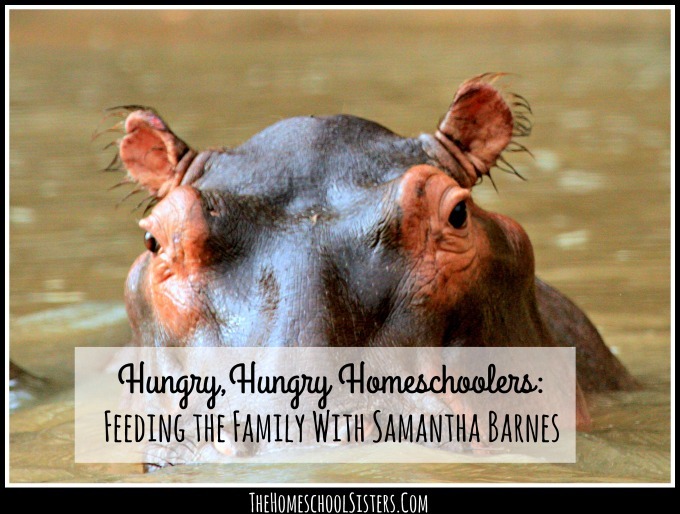 The trio chat dinnertime stress, why homeschoolers seem to be hungry ALL THE TIME, pick selective eaters and time-saving hacks. Streamable Learning brings amazing field trips right to your kitchen table or wherever you learn. With over 450 live streaming events – many of which incorporate project-based learning- Streamable Learning allows you to connect with experts from around the country. October 24, 2017 to November 1, 2017 is FREE Homeschool Week. Head over to Streamable Learning to check out current offerings. And, if you sign up during homeschool week, your annual membership fee will be just $39.99- 20 percent off. Get kids of all ages cooking with a Raddish Kids subscription. The kitchen is definitely the tastiest place to learn, and Raddish helps kids explore math, science, culture, and more. Use the code PODCAST for $15 off a 6- or 12-month membership. Head to Raddish Kids to download a free lesson. Also, be sure to keep reading because Samantha has shared a downloadable “Eat a Rainbow Every Day Colorful Cuisine Challenge” with all the homeschool sisters out there! My girl and I are cooking up a little fun today with our @raddishkids box! It smells amaaaazing in here! ??? Here it is, sisters! So many of you have asked for this recipe and Samantha was sweet enough to share it with us! Easiest method — Place whole, unpeeled squash in slow cooker / crockpot. Turn to low and bake until soft, about 4-6 hours. Remove and let cool enough to touch. Cut lengthwise and scoop out seeds. Then scoop out soft flesh into a bowl. It’s ready to eat and use! Alternatively, squash can be roasted halved lengthwise, skin-on with seeds removed, in a 400-degree oven for 1-1.5 hours until soft. Lightly coat a hot pan with a small amount of butter or oil. Spread one half of a tortilla with butternut squash puree from above. Top with shredded Mexican blend cheese, mozzarella, or a cheese of your choice. Optional: add greens (like spinach or swiss chard) sautéed with a handful of golden raisins. Fold tortilla over and repeat making additional quesadillas. Cook in pan until cheese is melted, flipping once. TELL US: what meal planning tips and tricks do you have up your sleeve? SHARE HERE! 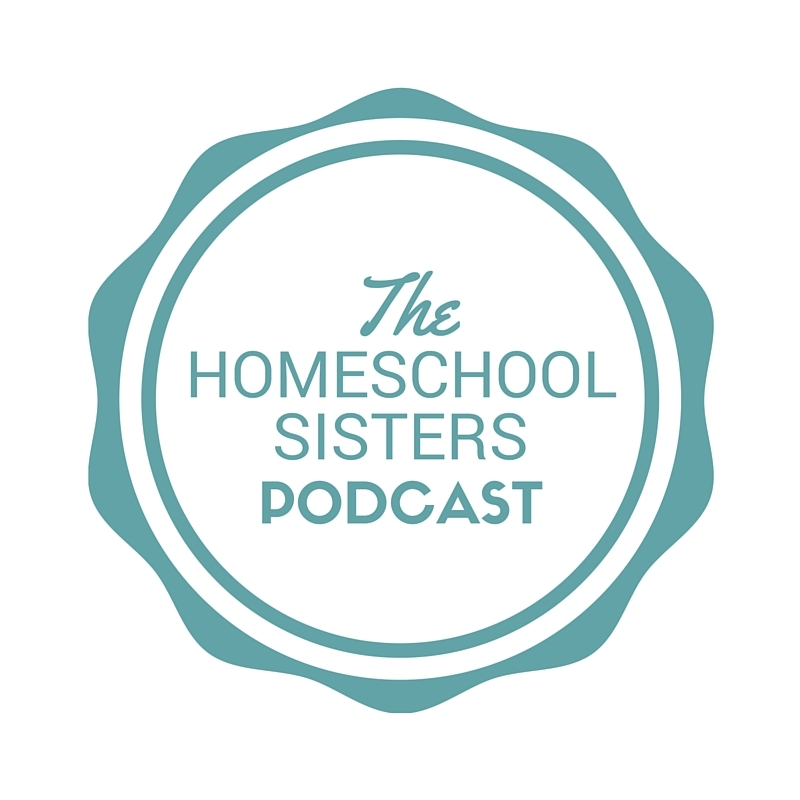 Many listeners have asked how they can support The Homeschool Sisters Podcast. The answer is a simple one. Do you shop online? Click our link first. You won’t pay any extra, but a small percentage goes toward The Homeschool Sisters Podcast to help offset our expenses. Every little bit counts, and we are so grateful for your support! Cait, do you have any good resources to share on your nutrition unit study? Love this idea; perfect for the holidays and seems like a fun relaxed unit study. Thanks! Would you please share the crockpot black beans recipe? My crockpot beans are always disappointing. Thanks for this episode! Was there mention of baked oatmeal? Could i get a recipe? This was a fun episode! Thanks!